Imagine you’re deep into development on next summer’s biggest action picture. You’ve got a start date, stars attached, locations set, a budget in place, and a script that still just hasn’t come together. The story is there. It’s a great concept. But maybe the dialogue is clunky in a few spots. Maybe a couple of scenes don’t work or it feels like a few scenes are missing. The structure isn’t quite right. You’ve got a third act problem. One of the characters isn’t written right for the actor you’ve got. It’s a great concept but this script needs just a little bit of work to get there. Pop quiz hotshot, what do you do? Bring in the Hollywood script doctor. The Hollywood script doctor is a fixer. Like a mechanic, except instead of fixing cars, they fix movie scripts. 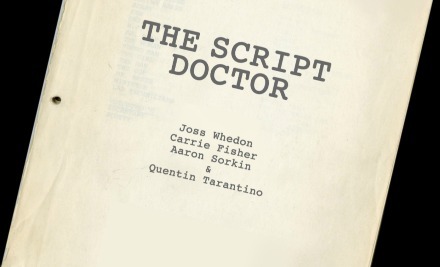 Typically brought in on a film during pre-production and development, the script doctor will, ideally, take that script to the next level and prepare it for an official greenlight. Though, script doctors are also brought in at the last minute to make adjustments, even during the production process. Technically, to receive accreditation, per the WGA (Writers Guild of America), a writer must contribute at least 50% of the script for an original idea, or 33% in the case of an adaptation. Anything less than that results in an uncredited rewrite. And for Hollywood’s biggest name script doctors, this can be a big payday ­- and it’s usually only a side job. This process isn’t atypical for a Hollywood production; most scripts go through several rewrites, often from several different writers. This is especially true for big budget spectacles and summer tentpoles. In fact, if you’re the first writer of an action movie script, you can pretty much be guaranteed that many other writers will come in and alter your work after the fact. In a lot of cases, most audiences would be surprised by the names of some of Hollywood’s biggest script doctors and the movies they’ve worked on. Carrie Fisher? That’s right. Princess Leia has some pretty big, uncredited titles, under her belt. 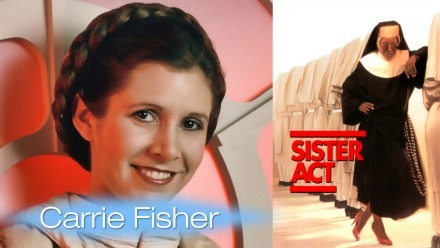 Sister Act, Hook, Lethal Weapon 3, The Wedding Singer, and The Last Action Hero, those are some big titles, all of which are credited to writers other than Carrie Fisher. Yet, she’s the one who was brought in to clean up and improve dialogue and other story issues on those films. Joss Whedon. The man who created cult television hits Buffy the Vampire Slayer, Angel and Firefly, and now runs Marvel’s – and the entertainment business’ biggest franchise – The Avengers. Yep, he’s long been a go-to guy for rewrites and script doctoring. You’ve maybe noticed he’s a credited writer on the original Toy Story. As far as his uncredited rewrites go… Twister, X-Men, Waterworld, and Speed. But how much does a script doctor contribute? It depends on each individual project. Whedon, normally brought in on rewrites due to his knack for dialogue, has said that only one or two lines from his work on X-Men made it to the final film, though he still got paid anyway. However, for Speed, the bulk of the dialogue can be attributed to him. Yet, this job can still be challenging. As Whedon himself has said, “It’s the most soul-crushing way to make money,” because writers are so often put on projects where they have ideas to improve the script but the studio or producers have a limited vision for what they want from their script doctor. Uncredited and restricted by the desires of the producers, script doctors often don’t get to enjoy the creativity that being a primary writer on a project allows for. How about Aaron Sorkin? The West Wing guy? Yep, he’s an uncredited writer for films such as The Rock and Enemy of the State. Producer Jerry Bruckheimer used to rely on him for script doctoring back in the 90s. And Bruckheimer movies make sense for a writer known for his spit-fire, grandiose dialogue and rapid banter but you might be more surprised by one of his other uncredited contributions: Steven Spielberg’s Schindler’s List. How about some other unexpected script doctoring? M. Night Shymalan, the guy that wrote The Sixth Sense: uncredited for romantic teen comedy She’s All That. Quentin Tarantino, the writer/director of films such as Reservoir Dogs and Pulp Fiction; he’s responsible for uncredited rewrites on The Rock (yes, this movie had many writers and script doctors take passes at it, in addition to Nic Cage’s on set contributions), Crimson Tide, and even, Saturday Night Live spin-off It’s Pat. While the practice of bringing in Hollywood script doctors saw a wave of big names in the 90s, it’s quieter these days. Still, bringing in multiple writers to do rewrites will forever be a standard practice, even if they write enough to actually receive credit. 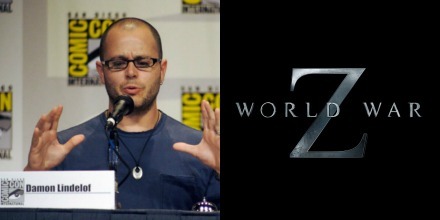 Take for instance, Damon Lindelof, credited with rewriting the third act of World War Z, a film which scrapped its already shot ending and took a gamble to rewrite and reshoot the final act, only to become a huge box office success this past summer. A success to which Paramount, the producing studio, credits their willingness to put in the time, effort, and massive investment to fix a film that wasn’t working. But, in this case, Lindelof wasn’t a script doctor per se, because he received credit, but he was the fixer nonetheless. And, going back to the WGA rules, that makes sense; since WWZ was an adaptation and Lindelof reportedly rewrote the third act (or 1/3 of the film), the studio would be required to credit him as a writer on the project for contributing at least 33% of the script. Technical definitions aside, though, Lindelof and WWZ are another example of Hollywood’s common rewrite process. Now, does all this mean we should really say It’s Pat is a Tarantino film or Speed is a Joss Whedon film? No, not by a long shot. Remember, these writers have contributed less than half or a third of these films’ scripts. Whether it’s a couple lines of dialogue here or there, or revamping the bulk of the dialogue, rewriting a single character, or restructuring the third act, Hollywood script doctors come in, make some changes, sometimes on their own, or sometimes by specific request of a the studio or producers. Regardless, they get paid decently, put their creative stamp on a film, receive no credit, and then move on to their next project. Yet, when it comes to writers with unique and identifiable styles, like Quentin Tarantino, Joss Whedon, Carrie Fisher, or Aaron Sorkin, knowing that they made uncredited contributions to such major films, you can go back to watch for their fingerprints and stylistic touches. Let that be your fun project for your next long weekend. 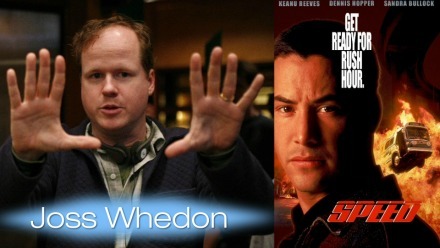 Catch Joss Whedon’s uncredited, Speed, now showing on HDNET MOVIES.